SMT supplies material-handling and recycling machinery produced by this renowned company. 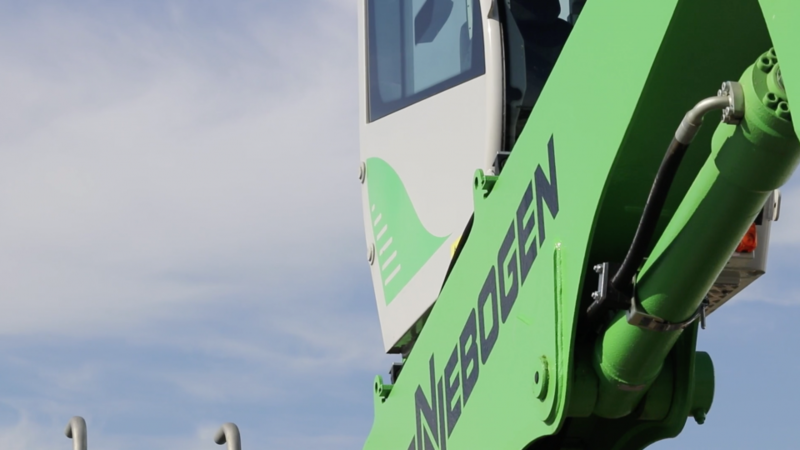 Customers in the business of transshipment, construction and recycling are familiar with the unmatched performance and state-of-the-art technology the Sennebogen machines have to offer. SMT does more than supply the standard machines: we also offer material handlers that are customized specifically to our customer’s wishes, backed by our expert service and supply of parts. Sennebogen Material Handlers are specifically designed for prime performance, large capacity, and maximum reliability and safety. They are available with sturdy modular undercarriage solutions (such as mobile, rail, and optionally raised) for custom applications. Global leader Sennebogen has an exclusive Benelux partnership with SMT. Modern electro-hydraulic drives aren’t just cost-efficient, they’re also very environmentally friendly and produce no exhaust fumes. The vibration-free drives and extremely low operating noise increase comfort for the operator. The machine is perfectly balanced in every operating situation thanks to the counterbalance directly connected to the machine, which means that only a small amount of energy is required for the machine to operate – even under heavy load. With just 50% of the installed capacity, Balance Material Handlers equal that of conventional machines. Combined with an electro-hydraulic drive, this allows for a saving in operating costs of up to 75% when compared to conventional material handlers with diesel engines. Balance Material Handlers are the basis for an efficient, productive, and cost-effective logistics system for scrapyards, harbours, or carpentry factories. Stationary machines can cover large areas and can replace several vehicles. This not only creates added value for logistics, it also increases health and safety for your employees while reducing operating costs. Thanks to their sturdy construction, Sennebogen telescopic handlers can work twice as long as comparable telehandlers. The Sennebogen machines have a longer wheelbase than comparable loaders while still having compact main dimensions. Better manoeuverability, thanks to steering wheel and steering wheel drives. Want to know more about the Sennebogen machine range? Please contact one of our account managers or fill in our contact form.